There was no shortage of enthusiasm leading up to this year’s Enactus Kenya National Competition. 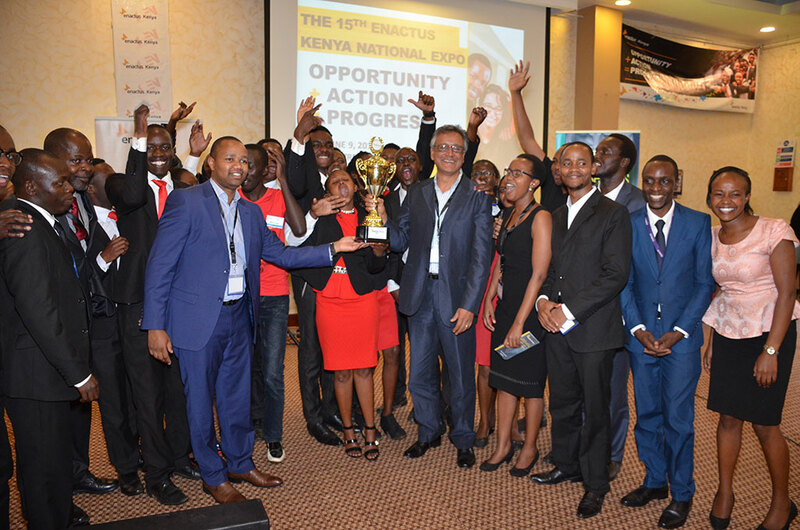 In the weeks before the 9 June event, we saw a number of articles about the Enactus Kenya organization and the event – check out this article about the competition and this one about the Enactus program. Winnie Nanjala, Deputy Director and Business Development Manager for Enactus Kenya was interviewed on TV about the competition, which you can watch here. And of course, we saw post after post on social media, highlighting the excitement throughout the network for this inspiring event. When the big day finally arrived, nearly 375 supporters came together at the Pride Inn Centre Westlands in Nairobi, including 17 competing teams. While the judges had their orientation, students had the chance to explore best practices in navigating campus life in the age of information overload during the Enactus Kenya President’s Forum, moderated by Dr. Beatrice Ombaka, faculty advisor at Katatina University. After a welcome from Country Director James Shikwati and the league selection, it was time for the opening round of competition where 10 judges had the difficult task of narrowing the field of 17 competing teams to the final three. 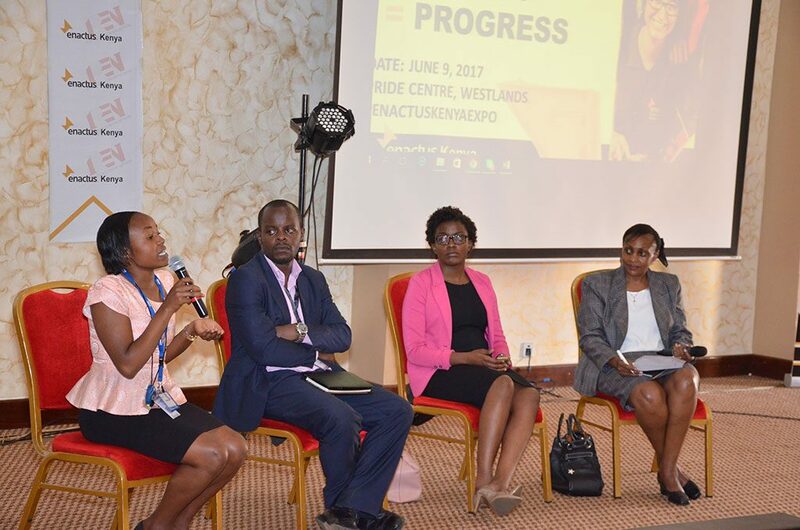 Before finding out the finalists, however, delegates took part in an alumni forum that explored the topic “The Great Acceleration: Plugging into the Fast-Paced World After Campus”, where Enactus Kenya alumni shared their experiences and advice with current students. Finally, it was time to find out which teams were moving on and experience the powerful final presentations, sharing the positive impact they made on a range of issues facing their communities. While the judges finished, attendees were treated to a performance by Juliani, a popular Kenyan hip hop gospel musician. Then the team presidents were presented with certificates recognizing their hard work and dedication over the past year, followed by an inspiring keynote address from Maurice Gachuhi, Senior Manager, Audit at KPMG, who talked about the KPMG-Enactus partnership at both the global and national level, and the organizations’ synergies. Finally, it was time to find out which team will be traveling to London to represent Kenya at Enactus World Cup. For the second year in a row, judges awarded the honor to the team from Moi University. Judges were impressed by their impact repurposing waste to create wealth for their target communities, by using red worms and black soldier flies to decompose organic waste into valuable compost, while also educating community members on waste separation and repurposing plastic and glass waste as furniture.